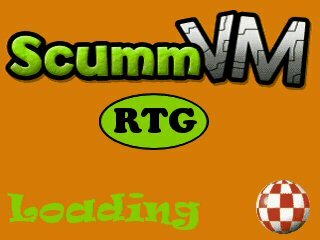 If you are interested in running old school point-and-click adventure games, look no further than ScummVM. This amazing program replaces the .EXE files of the old classics, allowing you to play them on systems for which they were never intended! According to the official homepage of ScummVM, you can play legendary titles from LucasArts, Sierra and others. Remember Day of the Tentacle, Sam & Max, Monkey Island 3 or King’s Quest? They are all available for playing under ScummVM as long as you’ve got the data files. For a complete list of compatible games, please head over to the official compatibility page. You can find it here. What amazes me is the variety of systems you can run ScummVM on. Windows and Linux are of course supported, but how about BeOS, OS/2, PalmOS and AmigaOS 4? It’s great that this program is available for so many different platforms. It’s good to see that ScummVM can be used with so many different Amiga setups. Sadly I haven’t been able to test it myself yet, but I will do that in the near future. My Amiga 1200 has 32MB of fast-RAM and a 68030 CPU, so I shouldn’t have any problems getting it up and running. NovaCoder has done an amazing job bringing us old school Amiga users the possibility of running games like Full Throttle, Sam & Max and Day of the Tentacle on our machines. A big thank you must fly out to him. The AmigaOS 4 version of ScummVM is nice. Have played the Curse of Monkey Island on a SAM440EP. It was very fun! 🙂 You should really check out the different games in the Monkey Island series. I recommend the three first ones. Number four never did it for me. It was very different from its predecessors. Ahh.. Zak McKracken! That is one of my favourite adventure games.. it was very difficult though. Did you manage to complete it? Thank you for visiting my blog and for all the work you are doing for the Amiga community. 🙂 Keep up the good work! I copied the files from my Curse of Monkey Island cd-rom and ran them through ScummVM on my windows vista laptop and got to play the game for the first time in years. I use Dosbox for most everything else, but I’ve found that some of the old Lucasarts games don’t work on that so ScummVM comes in handy for that. Have you tried the special editions of Monkey Island 1 and 2 by the way? They are available through Steam. The new graphics looks very nice. I love MI 1 and 2. I haven’t played the special editions yet, I’ll probably check ’em out eventually, though. They are well worth a look. 🙂 You won’t be disappointed! If you don’t enjoy the new look of the graphics, you can even turn them off while playing, so that you revert to “classic” mode. 🙂 I played through the whole of Monkey Island 2 and it was a great ride. Didn’t know about this. Been using ScummVM on my PC for a few years, but might try out the Amiga version.